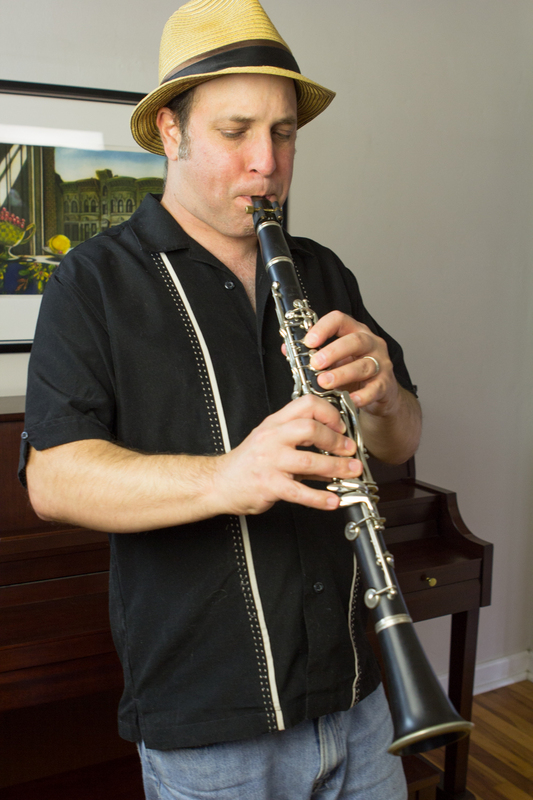 I am an experienced clarinet teacher and performer living in Portland, Oregon. I teach clarinet lessons out of my home in the South Tabor neighborhood in SE Portland. I have been playing wind instruments since I was a young child and clarinet for over a decade. I am a well-known player on the local swing and gypsy jazz scenes. I have played with some of the most popular bands in the swing community, including the High Water Jazz Band, Hops and Honey String Band, and Jenny Finn Orchestra. As a clarinet teacher I emphasize sound musical principles including playing with a beautiful tone, using proper technique, and playing with feeling. I am skilled in all of the many styles associated with the clarinet including jazz, classical, blues, klezmer, and more. Students who wish to learn improvisation will learn the basics of music theory, as well as the history of jazz clarinet and how to learn from the great players. I have developed teaching methods that make improvisation accessible and fun to learn through a step-by-step process. Young people just starting out will find that they progress much faster with private clarinet lessons. Taking lessons early from a great teacher made all the difference in my own musical development. Many adults used to play clarinet in school band and want to pick it up again later in life. As I write about on my blog, these people are often surprised by how much they remember, and can often progress quickly with good teaching and practice.